MYTH: Students participating in PARCC testing will be given a survey at the end of the assessment which includes personal questions about family political affiliations, religion, beliefs in global warming, etc., to be used for private data mining purposes. FACT: Spring PARCC tests do include a survey for students at the conclusion of their assessment focused specifically on evaluating the effectiveness of the new online tests. Student feedback from this survey will help pinpoint potential areas of adjustment for future versions of the online tests, such as clarification of directions or amount of time allotted. To view the exact list of Student Survey Items for the Computer/Tablet-based PARCC ELA (English Language Arts)/Literacy Tests, please click HERE. To view the exact list of Student Survey Items for the Computer/Tablet-based PARCC Mathematics Test, please click HERE. 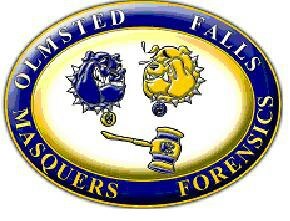 Starting this week, Olmsted Falls School District will begin featuring periodic “Myth Busters” on our Weekly Blog Post. These “Myth Busters” will also be compiled on the District’s Curriculum, Instruction and Assessment website. We hope parents will find this new feature informative and, as always, we encourage you to contact your child’s school building or the Board of Education office with any questions. 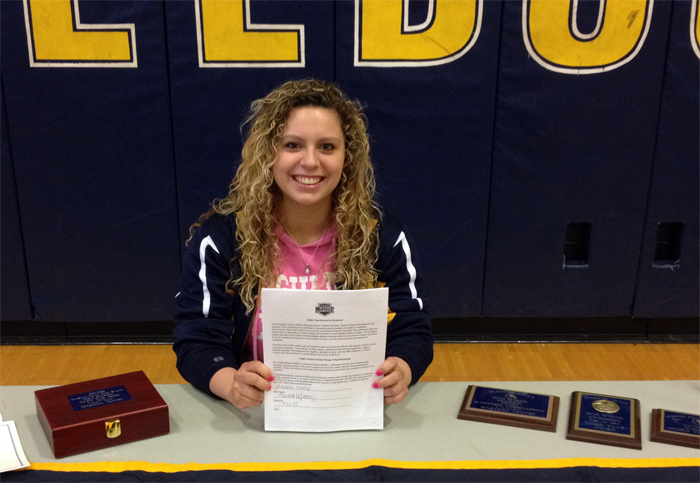 Congratulations to Mareena Gentry who will continue her academic and swimming career at Ursuline College. She will study nursing in the school’s Accelerated BSN program and receive the Ursuline Presidential Academic and swimming scholarships. Mareena was this year’s girls Bulldog swim team captain. The versatile swimmer began as a sprinter and finished the season in sprint and backstroke events. She is a four-year varsity letterman and scholar athlete and recipient of the Outstanding Underclass her freshman year. Mareena anchored the 400 free relay team that broke the school record for two consecutive years. She earned All-Conference honorable mention this year. Best of luck, Mareena. 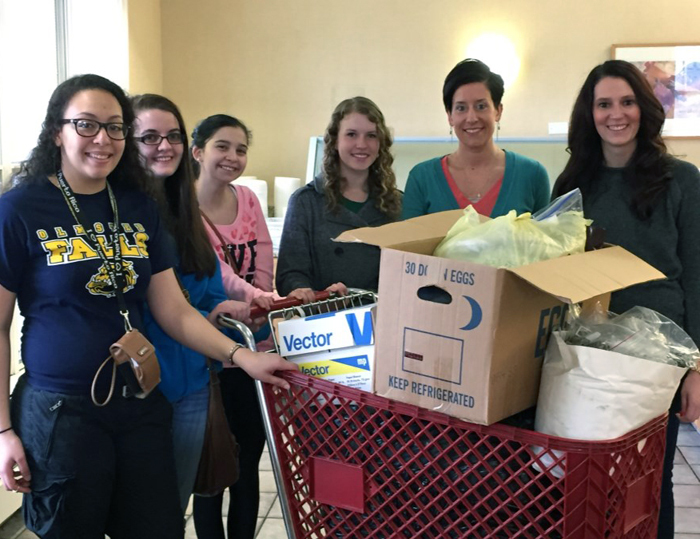 The OFMS Builders Club held a fundraiser for Berea Animal Rescue. They collected much-needed supplies and money to support the dogs and cats at the shelter as they await a forever home. 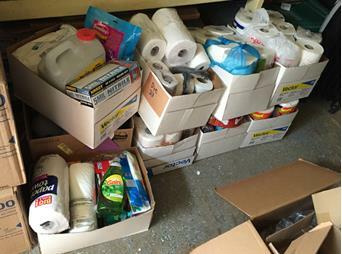 The middle school students donated money and more than 13 boxes of supplies. The four homerooms that donated the most enjoyed a visit from a few adoptable puppies and a former ARF alumni dog to say thanks. 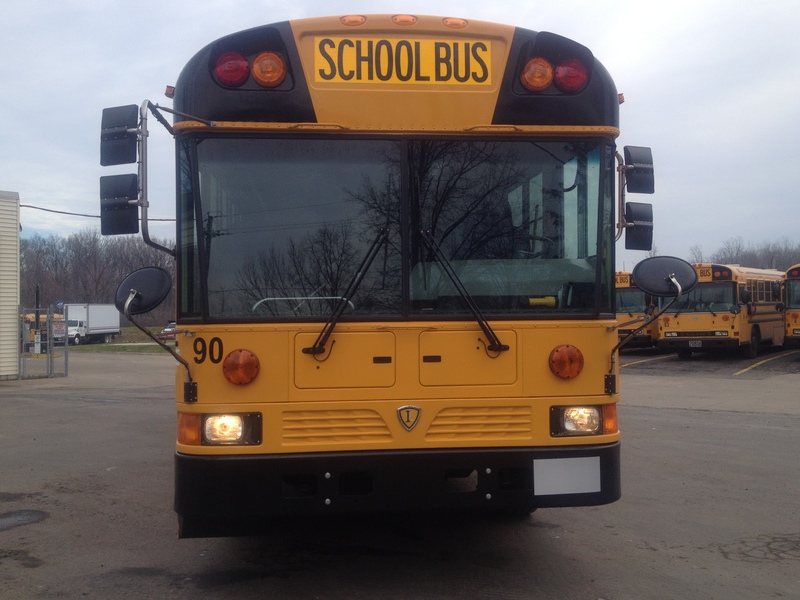 The OF school bus drivers had a tremendously successful day at the Ohio Regional School Bus Road-E-O held earlier this month. This knowledge and skill based competition is an annual national event. Our district had seven drivers compete, four of them representing OFCS as our district’s team. Heath Krakowiak, OFSD transportation supervisor, attended the event as a judge along with two other local drivers. The district again was well represented at the event! Olmsted Falls had drivers place ninth and sixth overall in the region, out of a total of 84 participants. Pam O’Conke, ninth place, is a third alternate to represent the North Region at the May 2nd State competition. Nancy Hunt, sixth place, will be a member of the North Region team at the State competition. Our district team, which included Kathy Barber, Lisa Clelland-Williams, Nancy Hunt and David Jackson, was awarded first place overall for their combined scores in the competition. In a special celebration with Mayor Ann Marie Donegan at Falls-Lenox Primary School, the first graders gathered in front of the school and representatives from each class read a poem. The mayor, accompanied by the city’s Shade Tree Commission members, read a proclamation while showing the first graders a Red Oak that will be planted at East River Park. She asked the students various questions about Arbor Day and the importance of trees. 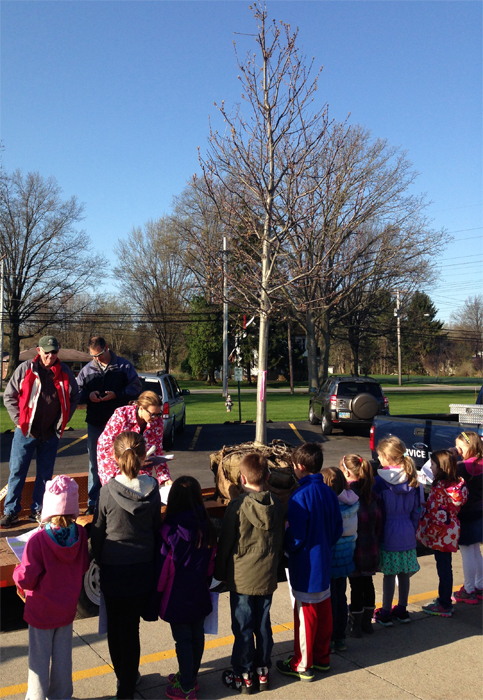 Thanks to the city of Olmsted Falls for spending time with our students and sharing our love of trees. To view a photo gallery of the event, click HERE. 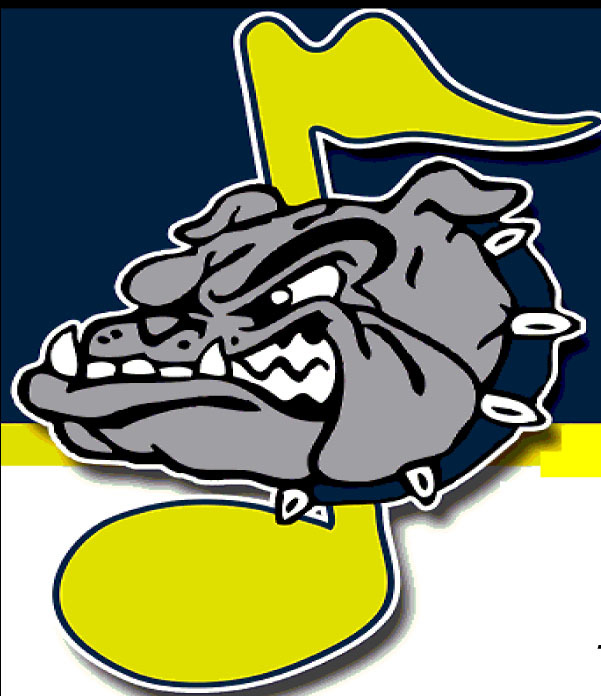 The OFMA’s monthly meeting is at 7 p.m. May 6th in the OFHS choir room. The association’s May newsletter, which is available by clicking HERE, includes such information about various upcoming contests and concerts, a list of OFMS students and their performance ratings received at the OMEA Solo and Ensemble Contest at Tri-West and details about the Olmsted Falls Summer Music Program for current grades 5-7. Many families came out and supported the April 24th Carnival for A Cure that supports the Relay for Live and the Falls-Lenox for Life team. This annual fundraiser helps raise huge amounts of money to create a world with more birthdays. This year the team was able to raise $4,806.51 to help families and individuals who have been – or will be affected – by cancer. A special thank you to all the families and students who came out to support this event; PTA members who contributed time, cupcakes and energy to make it extra special for the kids; high school students who donated their time on the mini-relay, game rooms and face painting; Kiwanis members who graciously served up food and teachers and staff, friends and family who stayed all day and night to bring our carnival to life. As you can see, it was a true community event. 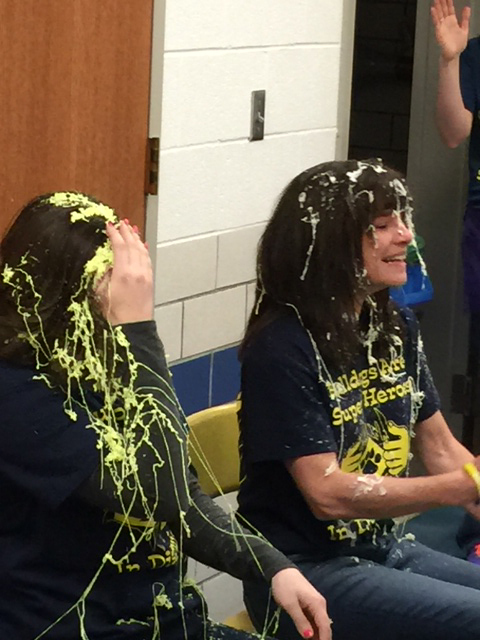 It was the Olmsted Falls Bulldog Community who made it truly special. Thank you, thank you, thank you! To view a photo gallery of the event, click HERE. Olmsted Falls Schools is requesting parent input and feedback on technology integration in our schools. MANY HAVE ALREADY COMPLETED THE ONLINE TECHNOLOGY SURVEY – THANK YOU. The survey link was emailed out to all parents in the District last week. The survey takes about 5-10 minutes to complete. All are invited and encouraged to participate. Survey results will be used internally to help guide decision-making as it relates to technology integration and training, and the District’s Strategic Plan. Please note that the District will also be surveying students (grades 2-12) within the next few weeks regarding their use of technology at school and home. Being Technology Enabled is one of four areas of strategic focus in the Olmsted Falls School District’s Strategic Plan. The Strategic Plan’s other three areas of focus include: Student Success, Aligned Resources and Community Partnerships. When school is out for summer, Bulldog students will have many opportunities to stay active with a variety of 2015 Bulldog Summer Sports Camps that begin in June. The OF Athletic Department has posted a list of sports camps available to students this summer – including camp dates, registration deadlines, contact information and links to individual camp forms and registration details. 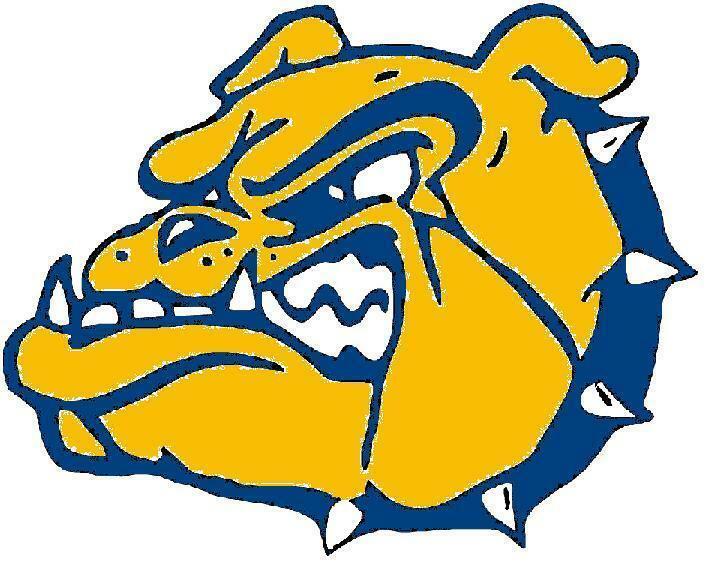 Please click HERE for the latest 2015 Bulldog Summer Sports Camp information. BULLDOG BASEBALL CAP MAKES TOP 10 LIST – CAST YOUR VOTE + ORDER YOUR OWN CAP TODAY! For information on how to order your very own Bulldog baseball cap, please click HERE. DEADLINE TO ORDER CAPS IS THIS TUESDAY, MAY 5TH. The caps will be done around the last week of school, and there will be pick-up times made available when they arrive. This would make a GREAT Father’s Day present! Please check www.twitter.com/ofbaseball for updates. The caps are $20 each and must be ordered by midnight on 5/5/15 – no exceptions!! All morning sessions for this year’s Safety Town are closed. Sessions that are available for your child to attend are 12:30-3 p.m. and 6-8 p.m. June 15th-19th and 12:30-3 p.m. June 22th-26th. They are held at Falls-Lenox Primary School. The program introduces safety awareness and preventative procedures to children who will practice real life situations before being confronted with them on their own. 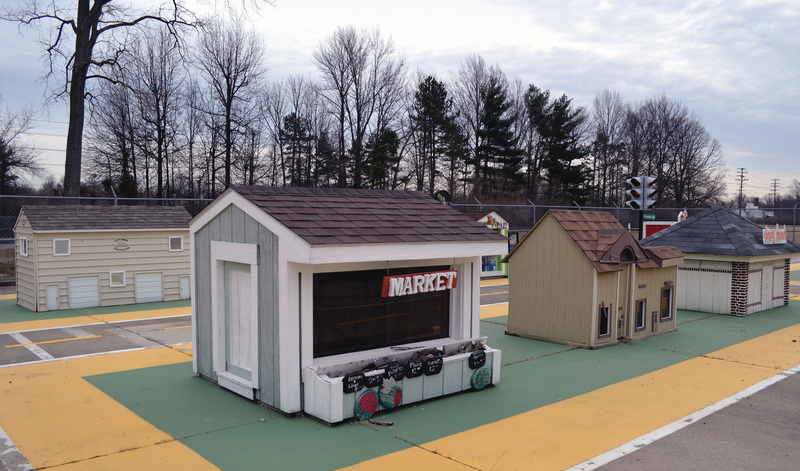 Children who attend will practice safety “out on the town” in a miniaturized city layout designed to teach children safety near roads, railroad crossings while on their bikes or walking in their neighborhood. Videos, songs and lessons with visits from local police, fire and bus department, as well as field trips to police and fire departments, all help children enjoy and understand what they are learning. The cost is $50 per child, which includes the class and a Safety Town T-shirt. To download the registration form, click HERE. The form must be mailed to Olmsted Early Childhood PTA/Safety Town. 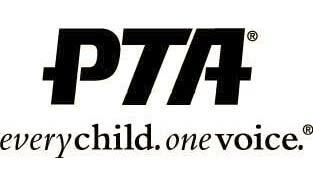 The Early Childhood PTA is looking for student volunteers for Safety Town, which it sponsors. Students must be in grades 7-12 and able to help all sessions, which are in June. For more details and registration forms, click HERE or go to www.oecpta.org. The deadline is May 11th. Cuyahoga Community College will present an Opportunity Night to learn about youth and adult pathways in obtaining a higher education including credit and non-credit programming. The event is from 5-7 p.m. May 6th in Room 10 at its Metro Campus Center, 2900 Community College Ave., Cleveland. It is free and open to the public. The program will include information table visits, financial aid workshop and Ohio Means Jobs overview. For more information, call Verna Curry, 216-987-6310. Parents needing to designate a single alternative pick-up / drop-off address for their students for the 2015-16 year must submit an Alternative Transportation Form by June 15th. Each year new forms are needed even if your requested site is the same. Please click HERE for additional information and to access Alternative Transportation Forms for the 2015-2016 school year. PLEASE NOTE: NO LATE FORMS WILL BE ACCEPTED. 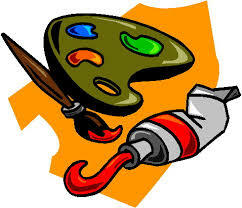 It’s time to show off your artistic talents. We are looking for artwork entries for the OFHS May Show from various groups – faculty, staff, alumni and community members. The show is Friday, May 15th. We are looking also for 2-D and 3-D work. If you would like to enter work, please complete the entry form found by clicking HERE and return it to Mariel Krakowiak by Friday, May 8th. Dates for drop off and pick up are included on the entry form. Please email Mariel, mkrakowiak@ofcs.net, with any questions. Students truly enjoy seeing the work of their teachers, administrators, bus drivers, custodial staff, alumni and community members! Dine at Suds Maguire’s Bar & Grill from 5:30-8 p.m. May 4th and 20 percent of all sales will go to the OFMS PTA. 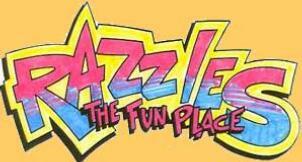 Added fun during that time includes raffle items such as Dave & Buster Power Cards, a night at the Courtyard Marriott, Southwest Gift Card & Swings-N-Things Karts Plus passes. ALL STUDENTS who dine will have a chance to spin the Dave & Buster prize wheel. Suds Maguire’s is at 1270 W. Bagley Road, Berea. To secure one of the free helmets – there are 90 available in various sizes – register either online at olmstedcc.com or in person at the center. The Olmsted Performing Arts’ princesses return to give little princesses an intimate story time tea. Times and dates are 6 p.m. May 1st; 11 a.m. and 6 p.m. May 2nd and 2:30 p.m. May 3rd. Tickets are $12. With limited availability, your princess will receive special attention with three classic princesses over a story, tea and dessert. Pictures and autographs will be available. Register now – space is limited. Mary Poppins the Musical runs from May 8-10 and 15-17 at OPA. Tickets are $18 or $22 and available at opatickets.com. Attend a magical backstage tour 90 minutes prior to each performance. Tickets for the tour are $5. For more details on all events, go to olmstedperformingarts.com. Click HERE to view a flyer of the events. The Olmsted Falls Garden Club has its Perennial Plant Sale from 11 a.m. to 2 p.m. May 3rd outside the Jenkins Community Center, corner of Columbia Road and Main Street. There will be a large selection of perennial flowers, hostas, grasses, ground cover, flowering shrubs and wild flowers. Proceeds benefit such community projects and public gardens, grade 3-4 garden programs and adult education programs. OLMSTED SPIRIT 5K RACE/WALK – THIS SUNDAY, MAY 3RD @ 9:00 A.M.
Don’t miss this annual community event! The annual Olmsted Spirit 5K Race/Walk will kick-off at Olmsted Falls High School at 9:00 a.m. on Sunday, May 3rd. Register Online by Thursday, April 30th at www.olmstedspirit.com to guarantee a t-shirt. Adults $20; Kids/Seniors/Military $15. Or register race weekend (Sat. from 10-2; Sun. at 8:30 a.m.) at OFHS cafeteria. All in-person, race weekend entries $25 per person (cash or check only). For additional information, please visit www.olmstedspirit.com. 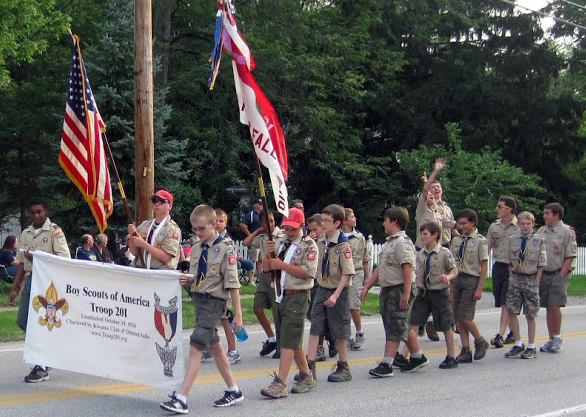 It’s that time of year again for the annual Olmsted Falls Boy Scout Troop 201 Flower Sale. Flower baskets, flats and vegetable flats will be available from 9 a.m. to 5 p.m. May 9th; 9 a.m. to 2 p.m. May 10th – Mother’s Day and 9 a.m. to 3 p.m. May 16th at the Jenkins Center, corner of Columbia Road and Mill Street, across from Olmsted Community Church. Hanging baskets make great Mother’s Day gifts. Stop by, support Scouting and shop locally! All proceeds help the troop purchase tents and other equipment throughout the year. For more details, contact Mike or Sharon Knaggs, 440-463-8106. Local cancer survivors and their caregivers will take the celebratory first lap at the annual American Cancer Society Relay For Life on June 6th at Olmsted Falls High School stadium. The Survivors Lap will start at 1 p.m. Anyone who has ever been diagnosed with cancer may participate in this honorary lap around the track. Survivors also will be honored with a free lunch from Chick-Fil-A, a T-shirt and a “goody” bag, which includes free coupons. The five-year survival rate for all cancers has risen to 68 percent. There are an estimated 14 million Americans alive today who have been diagnosed with the disease. If you are a cancer survivor or caregiver and would like to take part in the Relay For Life of Olmsted Falls/Township event, visit www.relayforlife.org/olmstedfalls or call the American Cancer Society, 888-227-6446, Ext. 1212. The Sunset Country Band is the featured group for the first monthly concert that Olmsted Falls’ Parks and Recreation Board annually sponsors. The concert is from 6-8 p.m. June 28th at East River Park. The Brunch Box will be parked at the concert with several food selections. 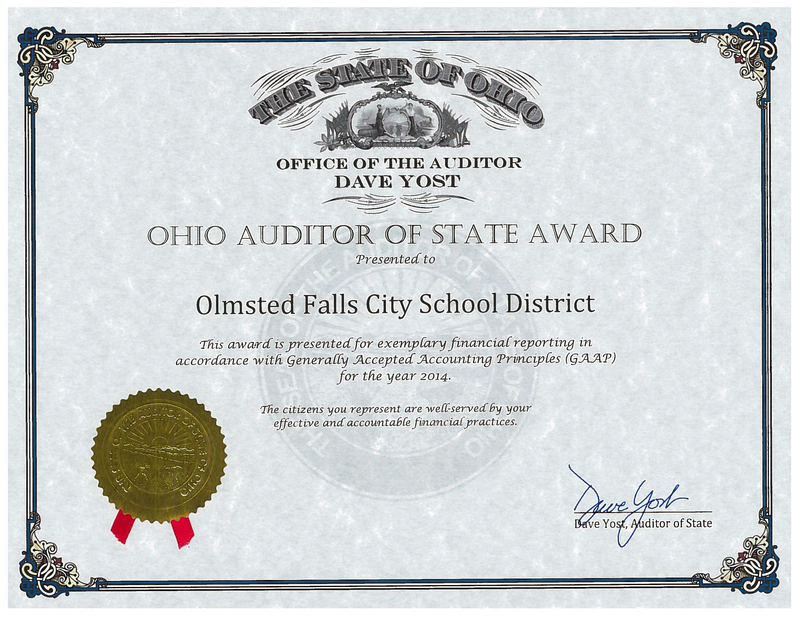 The Olmsted City School District received the Auditor of State Award, which is given to entities that file timely financial reports in accordance with GAAP, as well as receive a “clean” audit report. District’s management letter contains no comments related to ethics referrals, questioned costs less than $10,000, lack of timely report submission, reconciliation, failure to obtain a timely Single Audit, findings for recovery less than $100 or public meetings or public records. This is the fourth consecutive award of this type from the state. 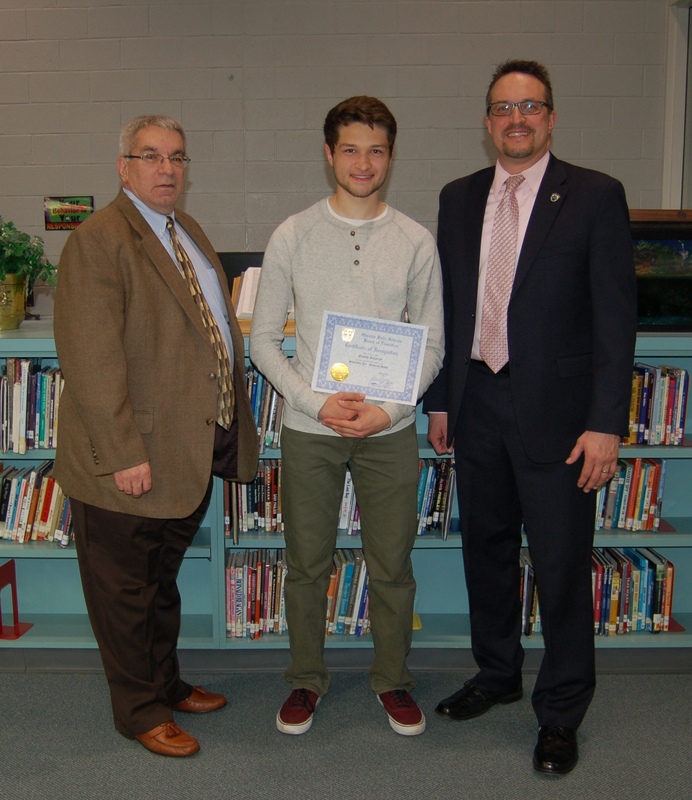 Board of Education President Mr. Jim Weisbarth (left) and District Superintendent Dr. Jim Lloyd (right) help recognize OFHS senior Emilio Irizarry for his National Gold Medal award in the prestigious Scholastic Arts & Writing competition. At its April 16th regular meeting, the Olmsted Falls Board of Education was proud to recognize OFHS senior Emilio Irizarry for being awarded a National Gold in the prestigious Scholastic Art & Writing Awards competition. The prestigious Scholastic Art & Writing Awards is an annual competition in which more than 300,000 student works are entered for judging. Regional judging for works by Olmsted Falls High School students is held every December at the Cleveland Institute of Art. Of the 300,000 works entered for regional judging across the country, only 17,000 earned regional Gold Keys and qualified for the Scholastic Art & Writing Awards National Medals. Of those 17,000 regional Gold Key works, only 2,200 receive National Gold and Silver Medals. That’s only 2,200 out of the original 300,000 works entered nationwide! Emilio’s award –winning painting titled, “Cleveland Cruising” (pictured at right), will be displayed this June for the National show in New York City. Congratulations again to Emilio on this outstanding achievement! Emilio is the second OFHS student to earn this prestigious Gold Medal. Senior Teresa Wang was awarded a Gold Medal in last year’s competition. That makes two National Gold Medals for Olmsted Falls High School – both from talented members of the Class of 2015! Several OFHS athletes were able to be in attendance on April 16th as the Board of Education honored 1st Team All Conference and Scholar Athletes from the winter sports season. Pictured in the front row (L to R) are Andrew Vukovic, Kerri Gaspar, Molly Grimes, Olivia Collins, Zachary Sadowski with Olmsted Falls School District Superintendent Dr. Jim Lloyd. Pictured in the back row (L to R) are Board of Education President Mr. Jim Weisbarth with Matthew Metzger, Andrew Oltmanns, Patrick Simon, Troy Hurrell, Zachary Snyder and Board Vice President Mr. Greg Surtman. A total of 19 OFHS athletes were honored by the Olmsted Falls Board of Education at the regular monthly meeting held April 16th. Nine student athletes were honored for being named 1st Team All SWC Conference Student Athletes; and ten student athletes were honored as Scholar Athletes for earning the highest Grade Point Average in their respective varsity teams. *In the sport of wrestling, in order to be a first team performer, you must be Southwestern Conference Champion in the wrestler’s respective weight class. We had four champions and the team finished in 2nd place overall. A fantastic season for the OFHS wrestling program! Congratulations to all of these outstanding student athletes! Go Bulldogs! Olmsted Falls Schools is requesting parent input and feedback on technology integration in our schools. 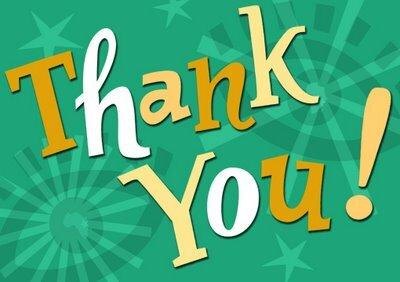 Thank you to the nearly 400 Bulldog parents that have already completed the online technology survey! The survey link was emailed out to all parents in the District earlier this week. All parents are invited and encouraged to participate in the brief, online survey which should take approximately 5-10 minutes to complete. Survey results will be used internally to help guide decision making as it relates to technology integration and training, and the District’s Strategic Plan. Please note that the District will also be surveying students (grades 2-12) within the next couple of weeks regarding their use of technology at school and home. 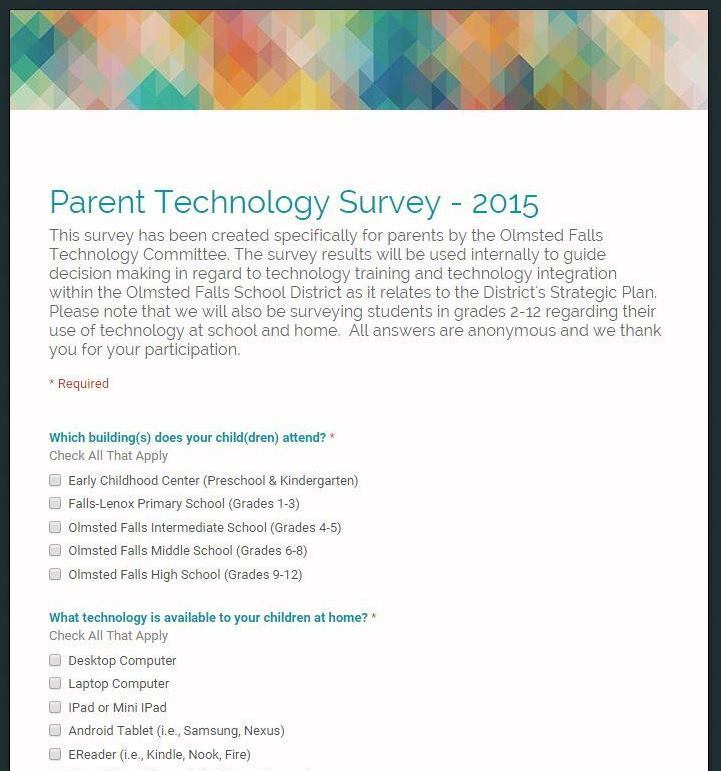 The Parent Technology Survey will remain open through Monday, May 11th. Thank you in advance for your time and input! OFHS MASQUERS’ ‘BIG FISH’ PRODUCTION – OPENS TONIGHT! Come see a play that is the first presentation anywhere in Northeast Ohio. 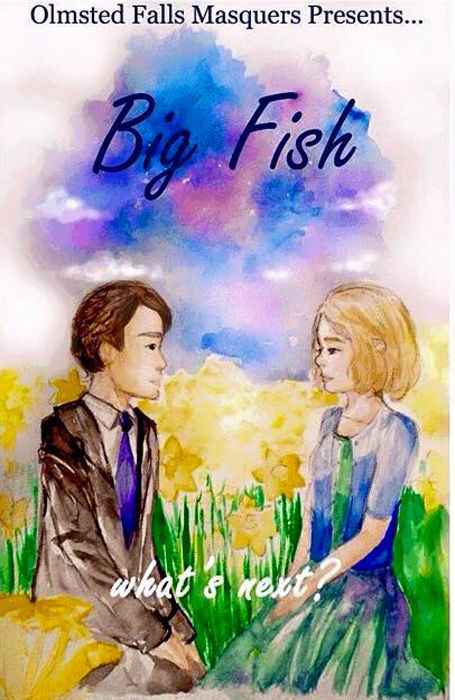 OFHS Masquers will perform “Big Fish” at 7:30 p.m. Friday, April 24th and Saturday, the 25th, in its auditorium. The musical is based on the Daniel Wallace’s 1998 novel and John August’s 2003 film. The play offers a touching story – with some whimsical characters – about a son who is trying to understand the life of his father, who has told tall tales about his experiences, as he is about to become a dad himself. All tickets are reserved and may be purchased by calling Leslie Pickenheim, 440-427-6070. To see a story published in the Sun Post-Herald about the play, click HERE. Your college advisors from both Tri-C and Lorain County Community College will be hosting a meeting for students who are taking a CCP class here at OFHS next school year. Please plan to attend this very important meeting. Your advisors will review the expectations of a CCP student and services available to you through the colleges. If you are taking ANY of the following classes at the high school next year, you should be in attendance at this meeting. 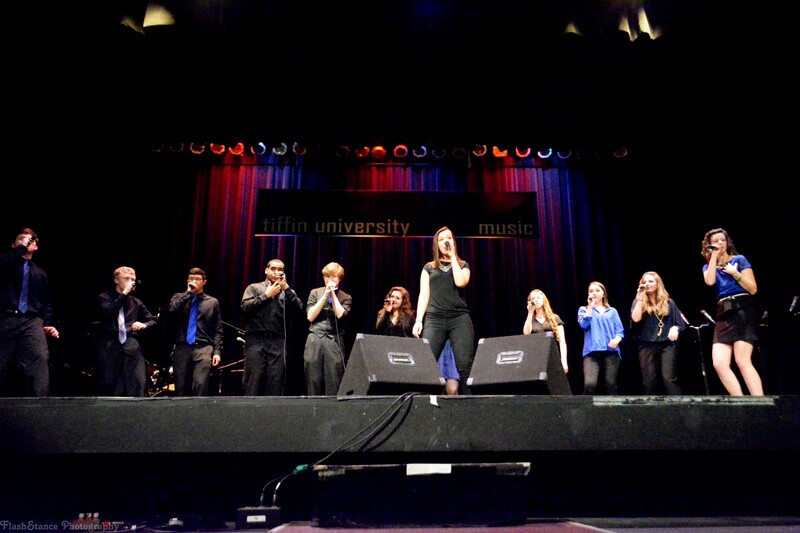 Olmsted Falls High School’s Vocal Jazz Group competed in the ProMusic Festival at Tiffin University last weekend and represented Bulldog country incredibly well. The group earned a straight one rating! Congratulations to these talented students on an outstanding performance! Please click HERE to view a photo gallery from this prestigious competition. 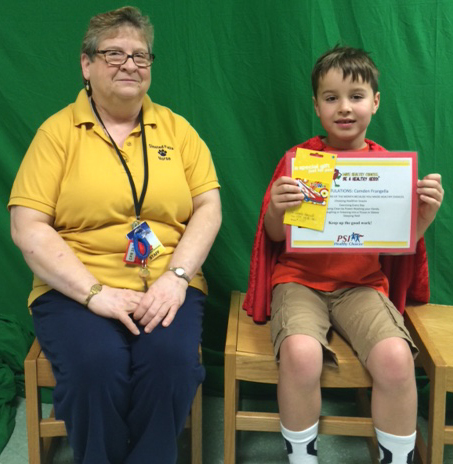 Congratulations to Camden Frangella, a F-L first grader, who is the March Healthy Hero. He is pictured here with Carol Meszaros. The Healthy Hero program teaches kids healthy habits, such as eating properly, power washing hands, daily exercise, coughing and sneezing into one’s sleeve and sleeping well. The Hero earns a prize for doing healthy tasks at home, too. Each month one Healthy Hero from ECC and Falls-Lenox is selected from a drawing and receive a Toys-R-Us $5 gift card. OFIS Chess Club is still alive and well. Tournaments have started and will run for several weeks. Help your players get there before 7:20 a.m. so they do well in the standings. 5th graders, keep in mind there will be Chess Club at the Middle School next year. When school is out for summer, Bulldog students will have many opportunities to stay active with a variety of 2015 Bulldog Summer Sports Camps that begin in June. The OF Athletic Department has posted a list of sports camps available to students this summer – including camp dates, registration deadlines, contact information and links to individual camp forms and registration details. 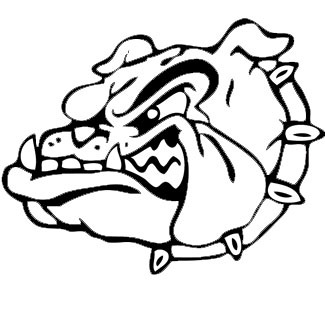 Please click HERE for the latest 2015 Bulldog Summer Sports Camp information. 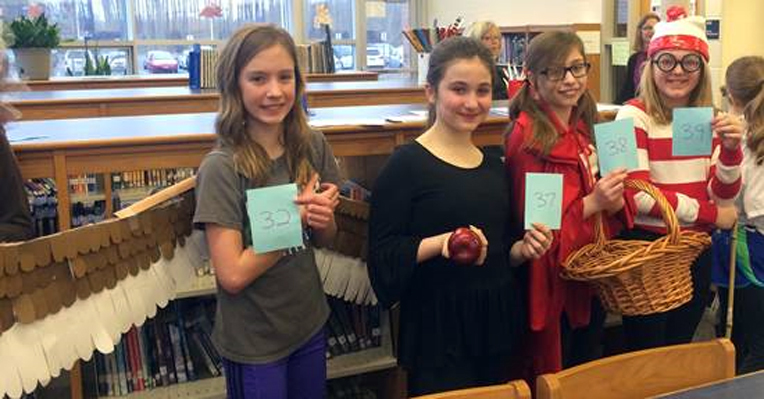 The OFMS Spring Book Fair was another huge success. Thank you to all the wonderful staff, students and parents for their continued support. Our library purchased $1,600 in new books using profits from the fair. Thank you also to the school’s wonderful PTA whose help is a vital part of the fair’s success, including Donna McKee, Nicole Linden, Ellen Dregalla and Rinda Vas. The school will host a Scholastic BOGO sale in May – more details to follow. Superintendent Dr. Jim Lloyd reached out to all Bulldog parents via email last week to request assistance with the creation of a new Career Exploration Database. The goal is to build a database of career opportunities for Bulldog high school and middle school students to explore. From brief phone interviews to job shadowing, to internship/externship opportunities, the District looks forward to further exploring such partnerships. The effort is being spearheaded by OFHS Career Guidance Counselor Aimee Caldrone. Parents are encouraged to provide their own job contact information in the new online database, as well as to forward the email and link on to any relatives, friends, neighbors, or Bulldog alumni who may be interested in partnering with the District for this new initiative. THANK YOU TO ALL OF THOSE PARENTS WHO HAVE ALREADY SIGNED UP AND/OR FORWARDED THE INFORMATION ALONG! To access the new Volunteer Career Exploration Database, please click HERE. Parents needing to designate a single alternative pick-up / drop-off address for their students for the 2015-16 year must submit an Alternative Transportation Form by June 15. Each year new forms are needed even if your requested site is the same. Please click HERE for additional information and to access Alternative Transportation Forms for the 2015-2016 school year. REMINDER: HEROES O.F. HOPE CARNIVAL – TONIGHT!! The Carnival for a Cure is from 6-9 p.m. TONIGHT – Friday, April 24th at Falls-Lenox Primary School. This is a wonderful fundraiser for F-L for Life team and the Olmsted Falls Relay for Life. Spend an old-fashion night of family fun. We hope to see the community April 24th at the Carnival and June 6th-7th for the OF Relay for Life at the OFHS. Don’t fret if your plans have changed – you may still attend Friday without the RSVP. Parking is in the school lot and the church across the street. All children must be with an adult. Costs are $5 per child and adults – any donation will be accepted. Hot dog or pizza dinner = $5. Students: Be sure to wear your shirt all day Friday and bring a marker to sign your friend’s shirts. Shirts are dark navy so permanent or paint markers of black or lighter colors, such as white/yellow will show up best. Olmsted Recreation has partnered with Serenity Yoga to present a series of 4 yoga classes to be held at Olmsted Falls City Hall beginning Monday, April 27th. 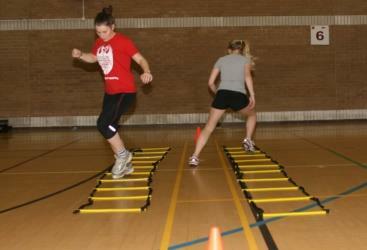 Classes are from 4:45-5:45 p.m. and will run on Mondays for four weeks (April 27 and May 4, 11 & 18). Please click HERE for flyer with more information. Fees to be collected at first class. 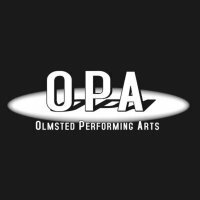 OLMSTED SPIRIT 5K RACE/WALK – SUNDAY, MAY 3RD @ 9:00 A.M.
OFHS REELS IN BROADWAY PLAY ‘BIG FISH’ TO ITS STAGE – MARK YOUR CALENDARS! Described as “very uplifting,” OFHS Masquers will present the former Broadway play “Big Fish” to its stage at 7:30 p.m. April 24th and 25th in its auditorium. This is the first presentation of the play anywhere in Northeast Ohio. This weekend, the OFHS Academic teams will compete in the OAC Regionals tournament in Solon toward qualifying in the OAC States tournament in May. The High School Academic Team has participated so far in 25 tournaments, hosted two and qualified and will participate in NAQT Nationals at Chicago next month. Erin Stanton advises the team with senior Bulldog Xavier Rivera as its captain. The OFMS Academic Team, which Laura Kennedy advises, also has participated in tournaments this year. All students are looking forward to upcoming tournaments and hope to finish strong at OAC Regionals and NAQT Nationals. 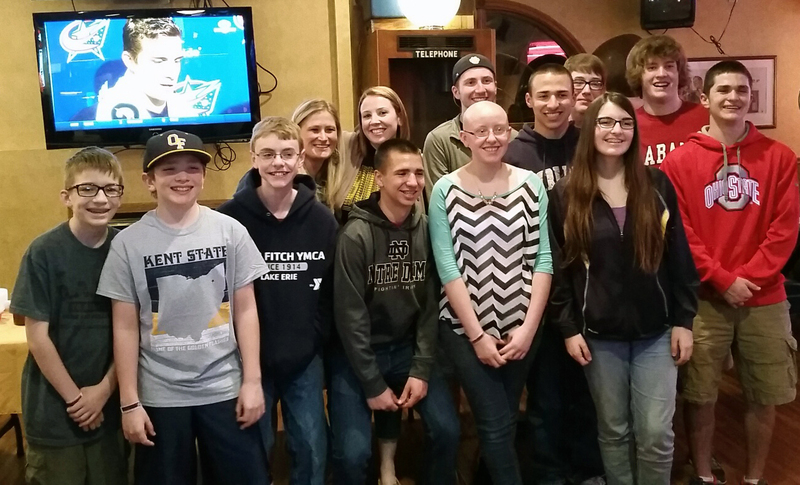 Last weekend, the Academic Team held its annual fundraiser at Razzles. All donations go toward the cost in competing at tournaments. Without the WONDERFUL support of the Olmsted Falls community, the high school academic team would not be where they are today. There was such an incredible outpouring of donations for the fundraiser at Razzles and continued support from PTA, Academic Boosters and Kiwanis – to name a few. If you are interested in receiving information about the high school Academic Team, please feel free to contact Erin Stanton at the high school. SkillsUSA is an organization that promotes career training through curriculum and competition. 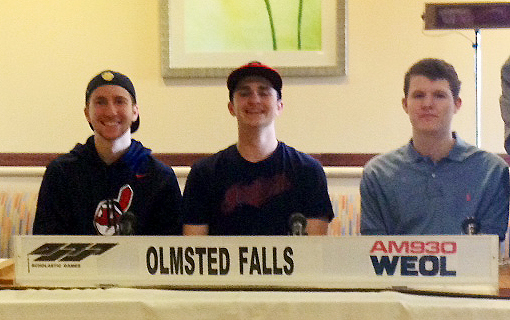 Tuesday and Wednesday students from Olmsted Falls High School participated in several competitions in Columbus. 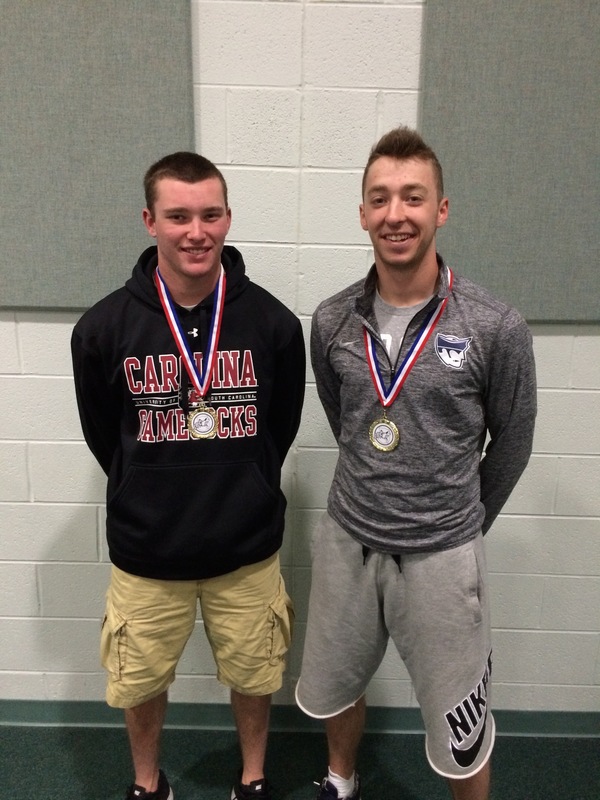 Brian Dougher and Logan Klink won 1st place in Mobile Robotics. 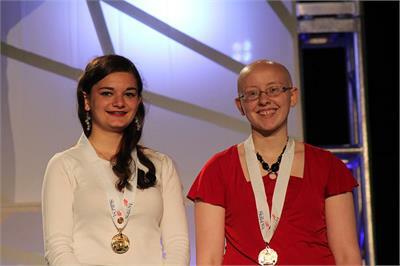 Joselyn Rabbitt and Stephanie Schroth won 1st place in Robotics and Automation Technology. Scott DeHart, Matt Metzger and Andrew Vukovic won 3rd place in Automated Manufacturing Technology; and Jami Miglet won 2nd place in Dental assisting. If you see any of these students, please congratulate them on their success. The teams winning 1st place will move on to competition in Louisville, Kentucky in June. 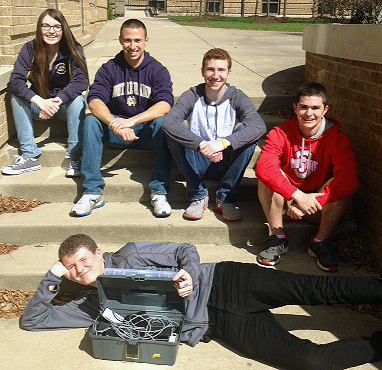 This is the third year students from Olmsted Falls have won the Mobile Robotics competition; and the second year they have won the Robotics and Automation Competitions (Joselyn and Stephanie have won both times!). Congratulations again to these outstanding students! To view additional photos from the competition, please click HERE. 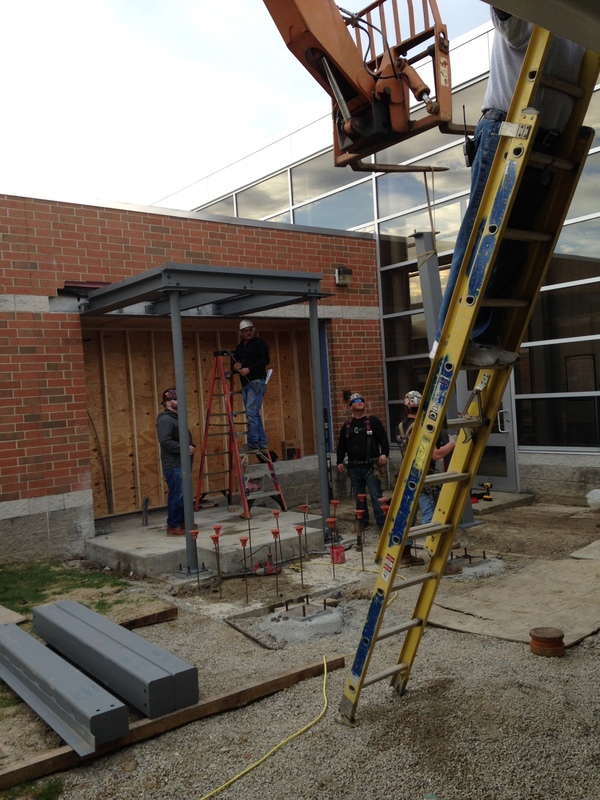 The steel canopy leading to the new entrance at Olmsted Falls Middle School was installed this week. The new entrance will improve building security by having visitors enter the building directly into the main office, instead of the hallway. Thank you to Middle School students and parents for your cooperation during the temporary closure of the building main entrance on Thursday, as the steel work was being completed. Congratulations again! 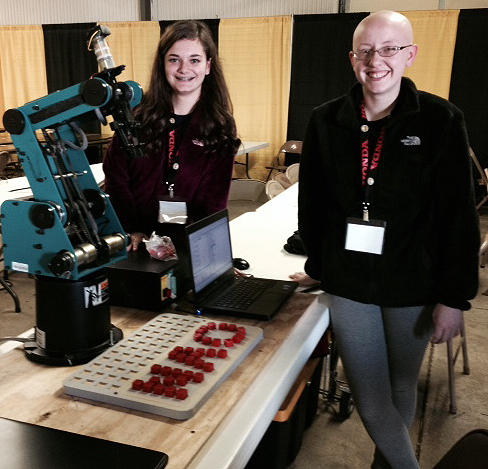 Prior to their 1st place win at the Skills USA competition earlier this week, Joselyn Rabbitt and Stephanie Schroth were the 2015 National Robotics Pick and Place 1st Place winners of the competition held in Marion, OH last Friday. Great job! Superintendent Dr. Jim Lloyd reached out to all Bulldog parents via email yesterday to request assistance with the creation of a new Career Exploration Database. The goal is to build a database of career opportunities for Bulldog high school and middle school student to explore. From brief phone interviews to job shadowing, to internship/externship opportunities, the District looks forward to further exploring such partnerships. The effort is being spearheaded by OFHS Career Guidance Counselor Aimee Caldrone. Parents are encouraged to provide their own job contact information in the new online database, as well as to forward the email and link on to any relatives, friends, neighbors, or Bulldog alumni who may be interested in partnering with the District for this new initiative. To access the new Volunteer Career Exploration Database, please click HERE. Register Online by Thursday, April 30th at www.olmstedspirit.com to guarantee a t-shirt. Adults $20; Kids/Seniors/Military $15. Or register race weekend (Sat. from 10-2; Sun. at 8:30 a.m.) at OFHS cafeteria. All in-person, race weekend entries $25 per person (cash or check only). For additional information, please visit www.olmstedspirit.com. Olmsted Recreation has worked out an agreement with the YMCA to offer FREE fitness classes in April. 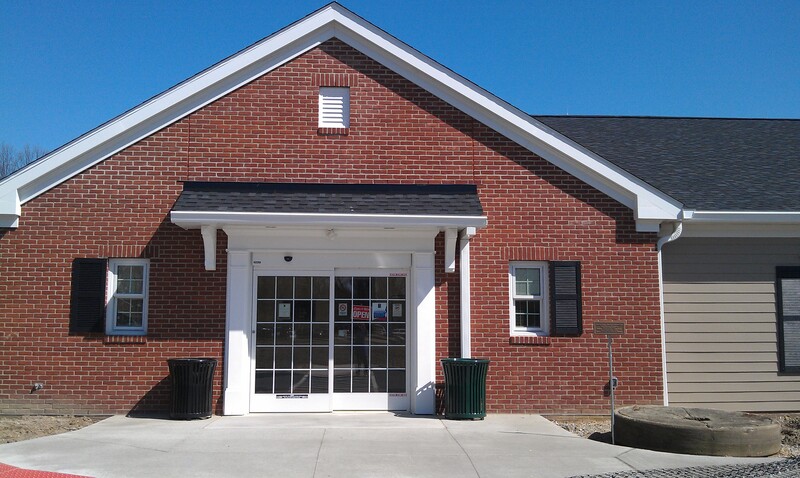 Classes include Boot Camp and Pilates, and will be held at Olmsted Community Center this month! For class schedules and additional information, please click HERE. 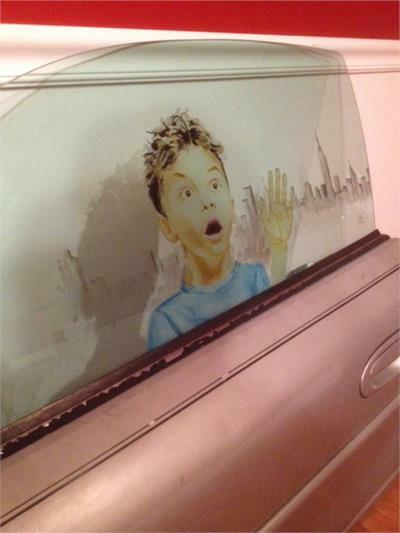 Car Door by OFHS senior Emilio Irizarry earned a National Medal in the prestigious Scholastic Art & Writing Awards. This year, 300,000 works were submitted to regional programs of the Scholastic Art & Writing Awards. 17,000 Gold Key works qualify for national judging. Out of the 17,000 qualifying pieces, only 2,250 National Medals are awarded. This is an outstanding accomplishment by Emilio! His work will be on display in New York! Congratulations! Emilio is the 2nd National Award winner from OFHS; Teresa Wang won a National Medal in this competition in 2013. Visual arts students at Olmsted Falls High School received honors in various competitions this year including Scholastic Art & Writing Awards, Governor’s Youth Art Exhibition and PTA Reflections. Some students earned multiple honors! Students who received awards include Andrew Barnard, Abbey Boenig-Dombek, Christine Bolton, Carra Garlitz, Alexa Gomez, Heather Grant, Emilio Irizarry, Stormie Kadar, Francesca Klypchak, Julia Korek, Jessica Kukura, Kathryn Lesiak, Nicole MacIvor, Matthew Matzelle, Meghan O’Brien, Aaron Oehlstrom, Emmy Olszewski, Andrew Oltmanns, Cassidy Rearick, Connie Saylor, Rachel Walsh, Teresa Wang, and Kristen Zakel. To view the complete list of honors and awards, please click HERE. Bulldog Six Sigma team members Don Svec, Cheryl Hennessey, Roberta Gonzalez and Heath Krakowiak attended the March 19th Board of Education meeting to present information about their recent Six Sigma projects and be honored, along with other Six Sigma Yellow and Green Belt team members, for their achievements. 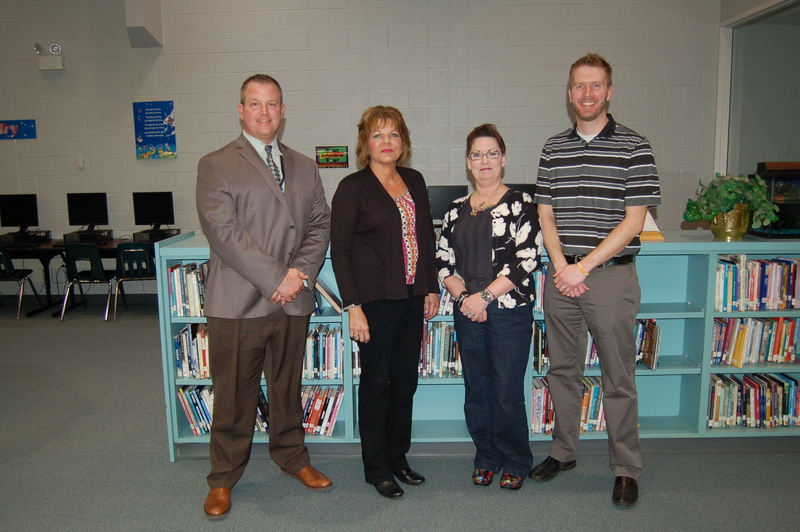 The Olmsted Falls Board of Education honored members of the Bulldog staff at their regular monthly held Thursday, March 19th. Fourteen staff members were acknowledged for their achievement in the Lean Six Sigma program, and several made presentations to the School Board members about the projects they have completed over the course of the last several months. These in-depth projects required extensive training, skilled analysis and innovative thinking. The end products ultimately resulted in increased efficiency in select areas of District operations. With this latest series of projects completed, Olmsted Falls School District is now home to a total of 36 staff members who are certified in Lean Six Sigma. Sixteen staff members are certified at the Green Belt Level, and twenty staff members are certified at the Yellow Belt Level. To date, Olmsted Falls School District has focused Lean Six Sigma training in the areas of building maintenance, finance, food services, human resources, technology and transportation. Thank you again to all of our Lean Six Sigma team members for their positive and tangible impact to help maximize efficiency in District operations! Teachers choose a small group of the most creative costumes in their homerooms and each class voted for their top choices. Judges then picked the most creative costumes in the school. 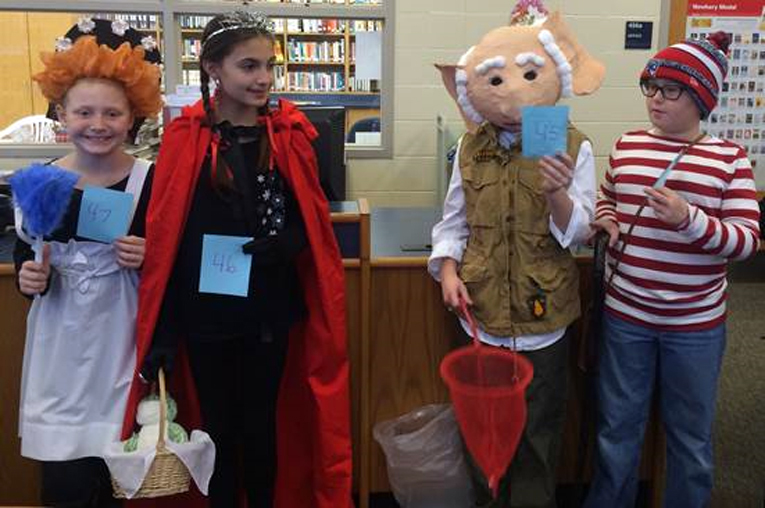 Students with the winning costumes received a $10 gift card for Books-A-Million. The new event was a huge success. Students had so much fun on this “Extreme Bedtime Story Day” that it may become an annual tradition. To view a picture gallery, click HERE. This year OF PTA Council received more than 70 entries for the National PTA Reflections program that encourages students to explore and be involved in the arts. Our local PTA Council selected district winners as well as 28 entries that were forwarded to the Ohio PTA state level competition. Two students received first place honors at the state level – Award of Excellence. They are Michael DiFilippo, for his musical composition in the intermediate division and Max Limpert for photography, intermediate. Their entries will advance to the national level since they placed first. Connie Saylor received the Award of Merit – 3rd place – for visual arts at the high school level. Lillian Bobowicz received an honorable mention for her literature entry at the middle school level. Congratulations to these fine students and all who participated in the program. 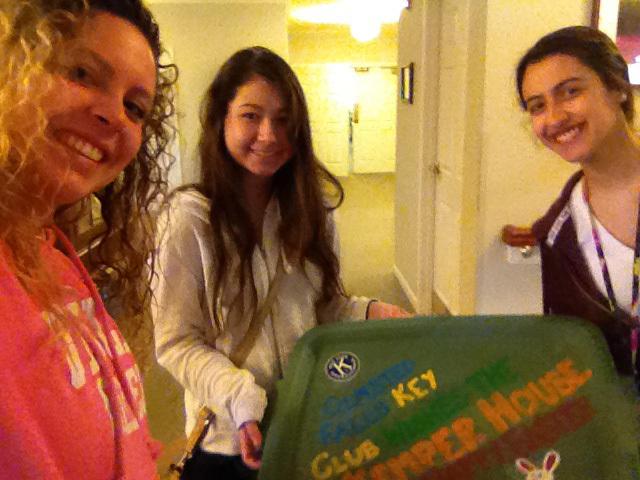 Over spring break the senior members of Key Club crafted and put together a gift as their senior project. The gift consisted of hand-made ‘bunny buddies’ (stuffed animals) and candy. 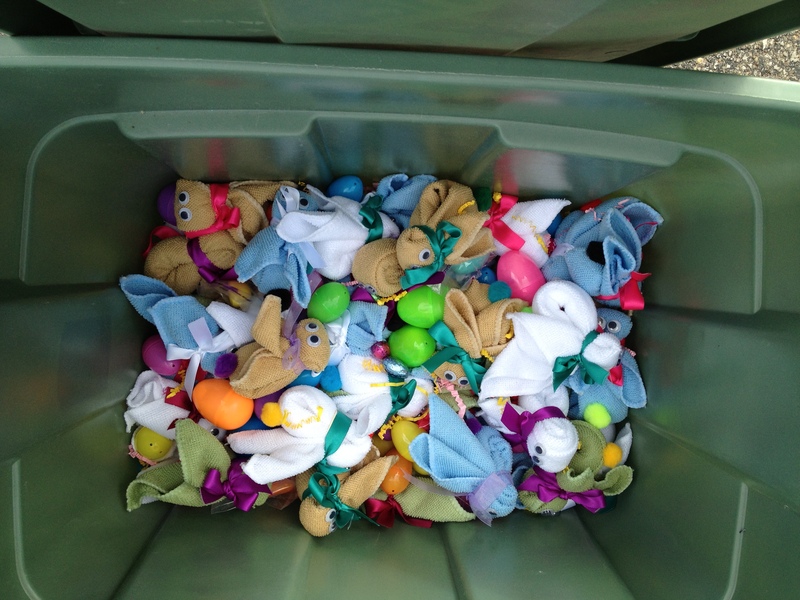 All the stuffed bunnies were delivered to the Kemper House a few days before Easter, as a present to the residents. 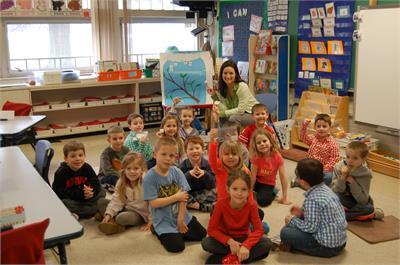 ECC began its Right to Read Week March 23rd. The week began with a special visit from Michelle Todd, a children’s librarian from the Olmsted Falls branch of the Cuyahoga County Library. On Tuesday, students were treated to a virtual visit from children’s author and illustrator, Steve Harpster. His interactive broadcast was brought into classrooms in real-time via classroom Smart Boards. Throughout the week, Mystery Readers visited littlest Bulldogs to shares stories with them in their classrooms. The week ended Friday, March 27, with some special buggy hands-on activity stations. Falls-Lenox 3rd grader Leah Kerber and her sister, 8th grader Sara Kerber recently visited our State’s Capital as winners of the ‘Legislator for a Day’ Reading Challenge! Among the many Olmsted Falls students that participated in the challenge, they were chosen to spend the day in Columbus. 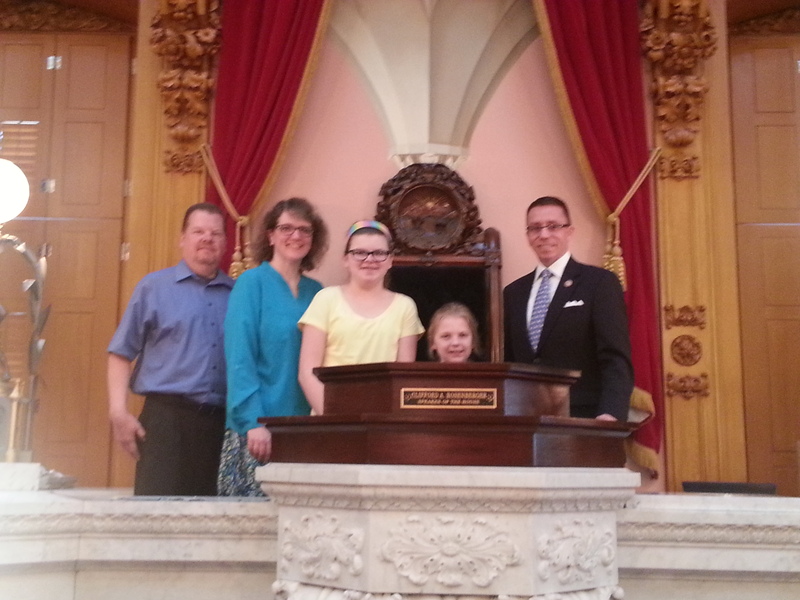 The personal visit with Representative Mike Dovilla included a tour of the State House and an inside look into Ohio’s legislative and judicial systems. Congratulations to Sara and Leah on being awarded this unique opportunity! To view more photos from their visit to Columbus, please click HERE. 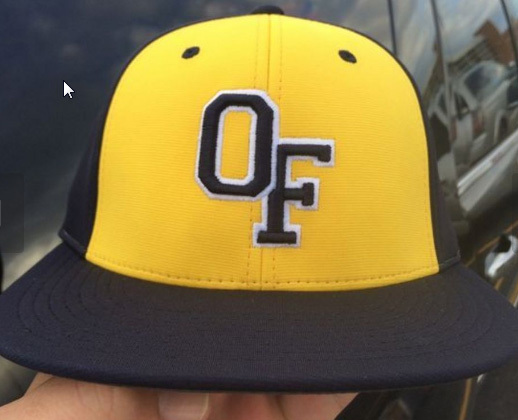 Congratulations to OFHS Varsity Baseball players, junior Nathan Krogh and senior Anthony Savarino, who were named to the 2015 Southeastern Baseball Classic All-Tournament Team in Hartsville, SC last week. 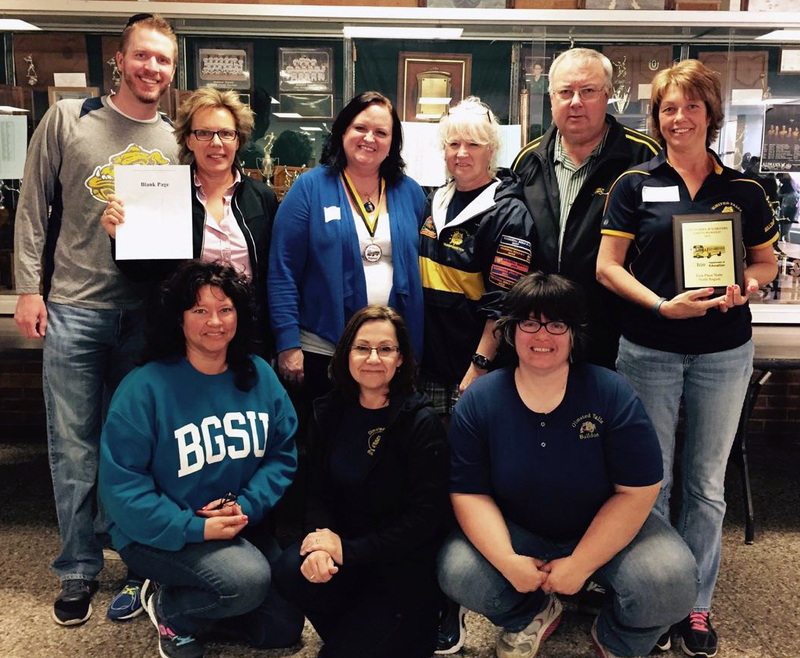 The OFMS physical education department won a field trip grant. 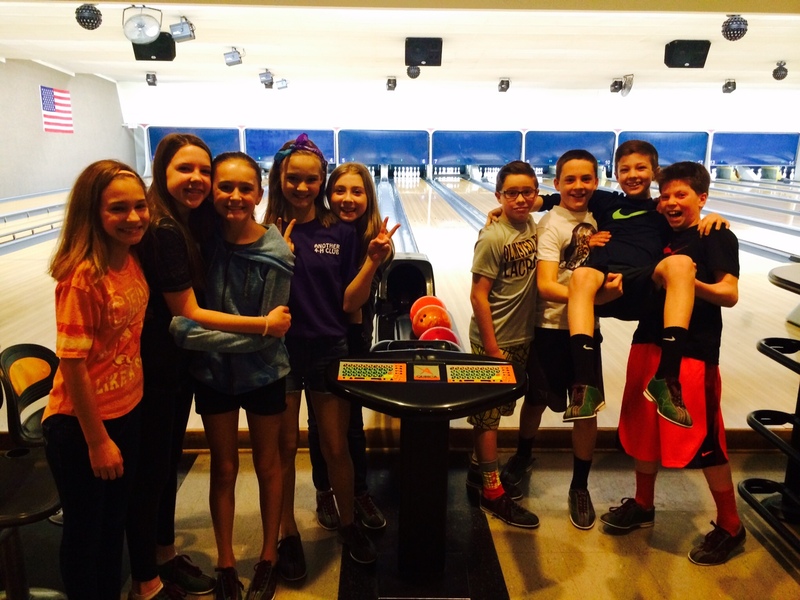 It paid for the school’s 6th grade students to bowl at Buckeye Lanes on either March 24th or 25th. The trip was part of the school’s lifetime activities portion of the curriculum. A big thank you to all who aided Helping Hands with monetary and pop tab donations. The OFHS Helping Hands volunteers delivered more than 100 pounds of pull tabs AND donated a fried chicken dinner for families. The group received a thank you from Ronald McDonald House of Cleveland saying our continued service makes a HUGE difference to providing a sense of normalcy for families in a time of crisis. The letter also said the group is grateful for the support we show the mission and hope we will remain involved and continue making a difference there. A big THANK YOU to all who made this happen. OFHS Post Prom Committee’s final big fundraiser of this school year is THIS SUNDAY, APRIL 12th at Suds Maguire’s Bar & Grill in Berea. The eatery will donate 20 percent of each food bill to Post Prom that day from 4 p.m. until closing. Just let them know you are with OFHS Post Prom! 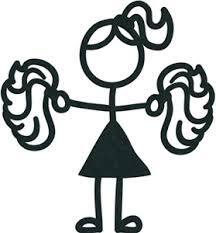 Masquers parents will meet at 7 p.m. Monday, April 13th, in Room W3, the choir room. All are invited to attend. Falls-Lenox will be participating in the national Jump Rope for Heart event benefiting the American Heart Association on Thursday, April 16th. For information on how to get your student signed up and involved, please visit the Falls-Lenox Primary School Jump Rope for Heart Website, or click HERE to download an instruction sheet. 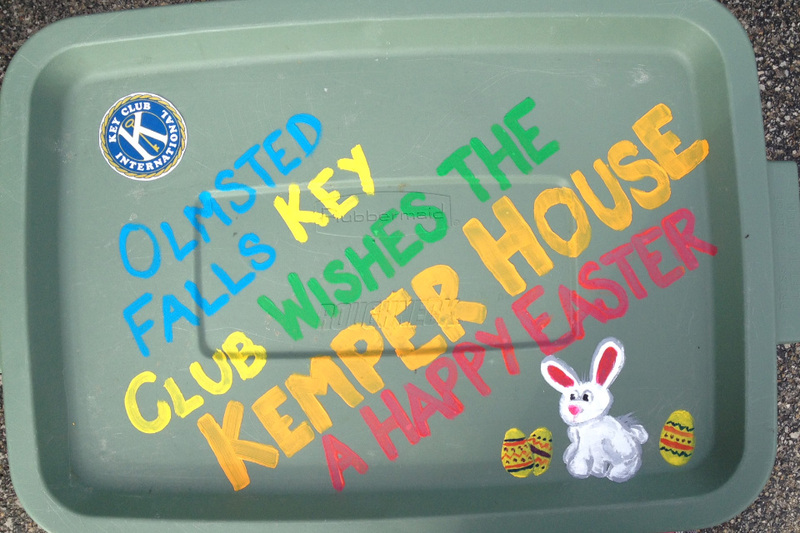 Olmsted Falls Music Association has just published their April 2015 Musical Notes newsletter. 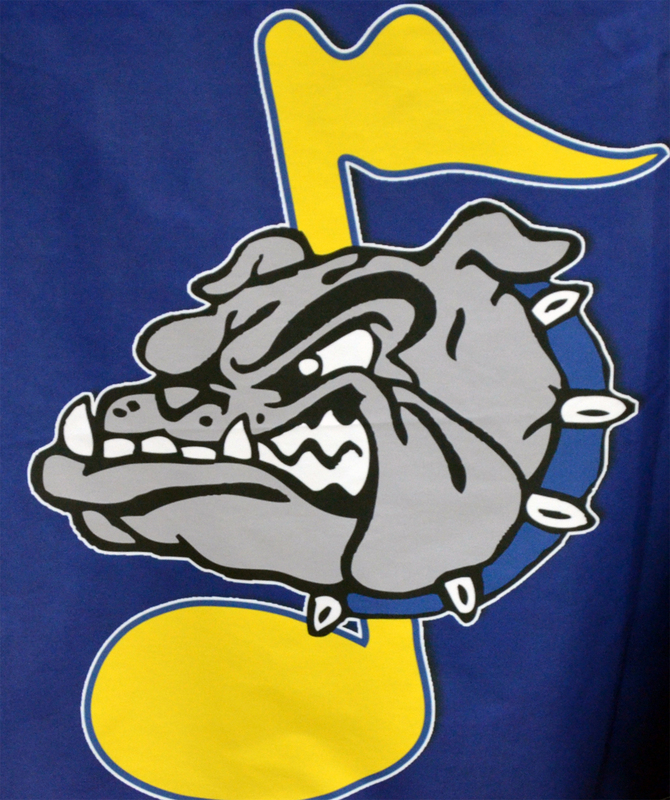 To read the about the latest news and events in the world of Bulldog music, please click HERE. 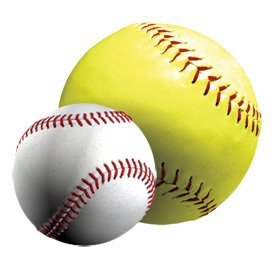 The last day to register for Olmsted Community Summer League baseball/slow-pitch softball is Wednesday, April 15th. To register, go to the Olmsted Community Center website at olmstedcc.com. The league is introducing its new Travel Slow-Pitch Softball league for Girls Intermediate division ages 9-11. Games will be played in Olmsted Falls, Middleburg Heights and Brook Park against their girls Junior League ages 10-12. If you have questions about this new division, contact League Rep Shelly Bernes, slbernes@aol.com.